The Pocophone F1 from Xiami is a device that got a lot of attention when it launched because of its price-point. It has amazing specs for the cost. If your looking to sell iPhone and switch to an Android this could be your choice. This launched in the Asian market (India) for the equivalent of $300 US. That’s a price-point that catches a lot of eyes. After a bit of personal use here are our thoughts. It has a lot of nice features like a flagship phone does, but priced competitively. The specs of this phone are fantastic. It’s not every day that you get a Snapdragon 845 with liquid cooling and 4,000mAh battery for $300. The screen is a high-resolution display and it has a headphone jack and a microSD card slot. It’s packed with great features. It’s comfortable to hold and has a great weight to it. It doesn’t have any weird curvature or sharp edges. It is made of plastic and due to that, it feels cheap. There is a lot of negative ideas that come with the word “cheap”, but I wouldn’t say that it makes it “cheap” it just doesn’t have a premium feel to it when holding it like an aluminum or glass body phone has. There’s no denying that it’s plastic when you pick it up. That being said, there are a couple reasons to not hate the plastic build. Number one, and maybe most important, it keeps the costs down. Number two, it’s a bit more forgiving during falls. When you drop a metal framed phone it almost always ends up dented and scarred forever. This doesn’t typically happen with plastic materials and when dropped there generally isn’t any damage that is visible. That’s just the nature of a plastic phone, it’s just more resilient to stuff like that. Another thing to like about this phone is the face unlock. It’s fast and it has an infrared light for nighttime use. Also, the stereo speakers are worth mentioning and honestly that was surprising. It was not expected to have stereo speakers, but it does and they are loud and sound very good. The battery life is also pretty decent. It’s a 4,000mAh battery, it’s still not a comfortable 2-day battery, but you can easily get a full day out of it on a single charge. The screen is not an OLED display, it’s an IPS, and it’s noticeable because the colors aren’t as vibrant and the black isn’t as black. You can tell that it’s an IPS panel, but it’s a really good one. This is an aspect about a phone where they could have gone cheap because it’s about $200 cheaper than the OnePlus 6. The screen on the OnePlus 6 is more vibrant because it’s an OLED panel, but the Pocophone has an amazing screen for the money. It’s bright, it’s pretty color accurate and you wouldn’t except a screen like this on a $300 phone. The notch is big. It’s bigger than the iPhone notch, and there’s a sizable chin on the bottom. It’s not an ugly look, but compared to other flagship phones that have a Snapdragon 845, for $300, you can let that slide. Something that you’ll get used to is looking for the notification light on the bottom. Android phones have always had the notification light up top, but you’ll just have to train yourself to find it on the bottom. There are some other deficiencies, a big one for the North American market is the lack of Near Field Communication (NFC). This phone doesn’t support NFC payments and this probably is because it’s not yet designed for a Northern American market where we can pay with Apple Pay and Google Pay. The camera is expectedly weak. Though it’s not something to be bothered by when using a budget phone. Even the OnePlus 6 doesn’t have an amazing phone, so it’s par for the course. However, the Pocophone has a noticeably worse camera particularly in low-light scenarios where it comes out pretty grainy. For daylight photos it’s fine. The camera launches fast, it focusses fast, it’s just not too awesome for low-light scenes. The software that it’s running is Xiaomi’s EMUI, based on your personal preference this may or may not bother you. It has an app drawer which is a little different for a Xiaomi telephone, and though it’s not a personal favorite, it’s still decent. 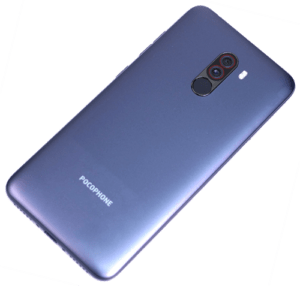 The Pocophone F1 is an incredible value at $300, and it will be difficult to find a better phone for that kind of money. However, finding it for $300 could be less likely after you buy it from an Asian site with its import fees and taxes you’re probably looking at around $350, maybe $400. It’s still a good phone for $400, it’s just not such a steal of a product. 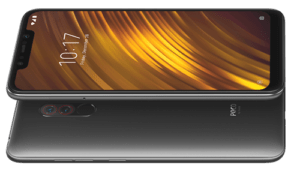 It looks like the Pocophone will have a bright future. Are 5 Cameras Too Many For A Phone?